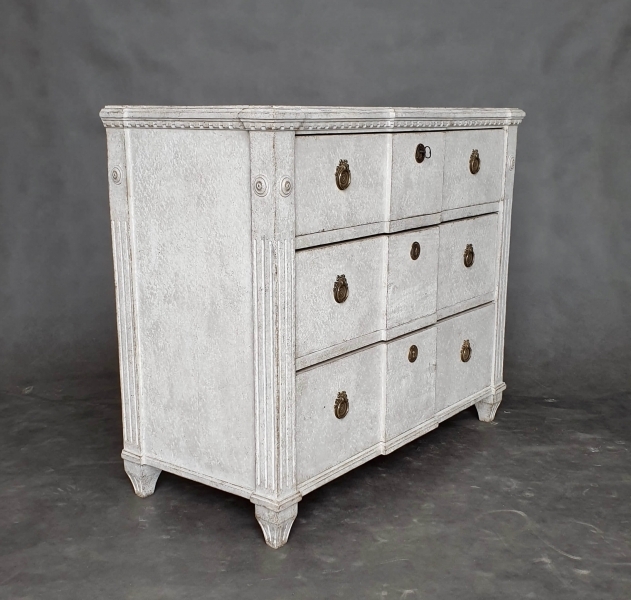 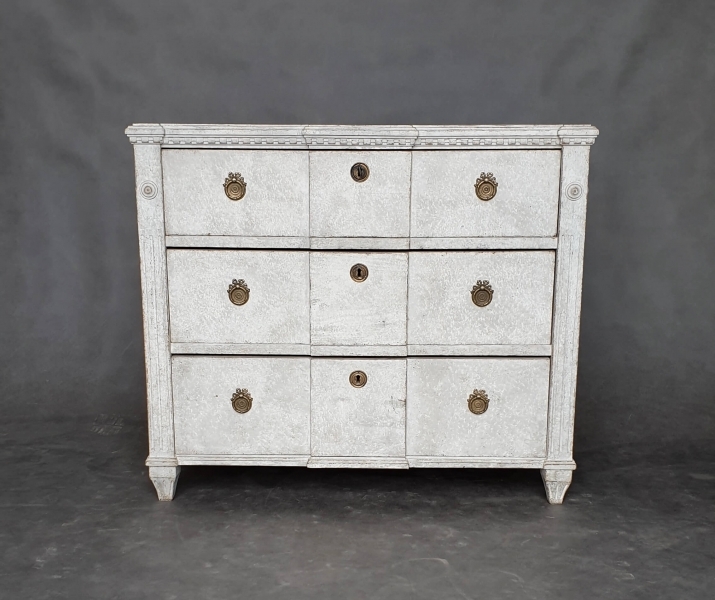 This is a Gustavian chest with a break front (with three drawers) in a light grey color. 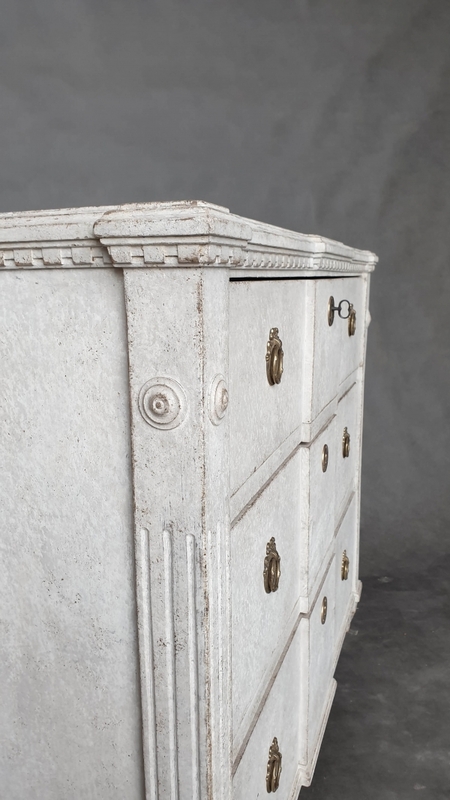 This chest of drawers has delicate decorations on the corners and vertical cutters. 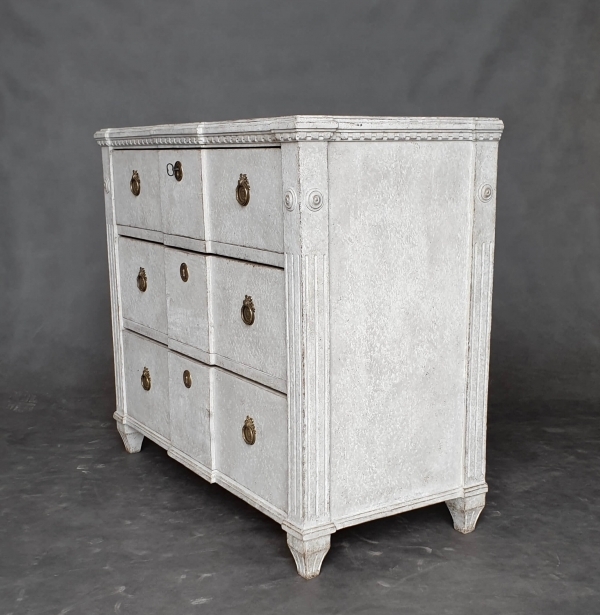 The fittings are in brass and this piece is from circa 1840.